We created a marketing platform that helps dental clinics automate patient engagement and vastly improve revenue generation. The solution integrates with the clinic’s PMS to search medical records, reach out to the right patients, and enable them to instantly schedule online. The analytics module keeps track of campaigns and produces detailed ROI reports. Client: U.S-based provider of innovative software solutions designed to help dental professionals optimize front office management and marketing. Oxagile’s teams have previously worked on other marketing-related projects for the client, delivering high-quality product on time and within budget. Their integrity, cross-domain expertise, and familiarity with the solution led the stakeholders to pick Oxagile as the provider of the new component. The new project team combined seasoned frontend and backend specialists and QA engineers led by a Certified Scrum Master. The Scrum model was adapted to accommodate the client’s fixed price and flexible scope requirements. The resulting solution is a specialized marketing component designed to help run campaigns and calculate revenues more effectively. Architecturally, the solution combines a robust PHP-powered API server with a React-based SPA on the frontend. Describe your business. To start working with the system, the marketing manager needs to fill in in the practice’s business details (open hours, staff qualifications, maturity of the business, marketing budget, etc.) and specify the growth goal (aggressive, moderate, or conservative). Plan ahead. Based on these details and imported statistics, the system automatically calculates and displays the growth goals for the next year, including the number of new patients and projected revenue. Take action. In the last step, the system uses the determined growth goals and available budget amount to suggest the most effective campaigns for the practice. All the marketing manager has to do is adjust the campaign’s strategy to their liking and set the start date. The component integrates with a host of dental PMS providers, including popular ones like Carestream, Dentrix, and Eaglesoft. This allows the system to extract valuable data points from clinical records to inform scheduling, campaign targeting, and revenue calculation. For example, information about available chair time, last-minute cancellations, and previous visits is used to fill the gaps in the schedule with new patients. Easy data sharing. With a large part of necessary information pulled straight from the PMS, creating campaigns becomes a lot easier. The solution maps the entirety of the clinic’s services and service providers onto a number of categories to make them more manageable. Fast campaign launch. After that, the marketing manager has only to pick the required type of service (hygiene, implants, orthodontics, etc. ), provider (hygienist or doctor), and type of patient (new patient, unused treatment credit, regular appointment) from a drop down list to quickly filter the targeted patients and launch the campaign. Optimal marketing message. The preferred mode of communication can be adjusted in each individual case, with the list of options including emails, SMS, voice messages, and paper postcards. Users can choose from a library of templates or create their own personalized messages. No missed opportunities. A distinct feature of the solution is automated campaigns that run in the background and reach out to patients whenever they start fitting a certain set of attributes (e.g. when the recommended period of time between dental hygiene appointments runs out). 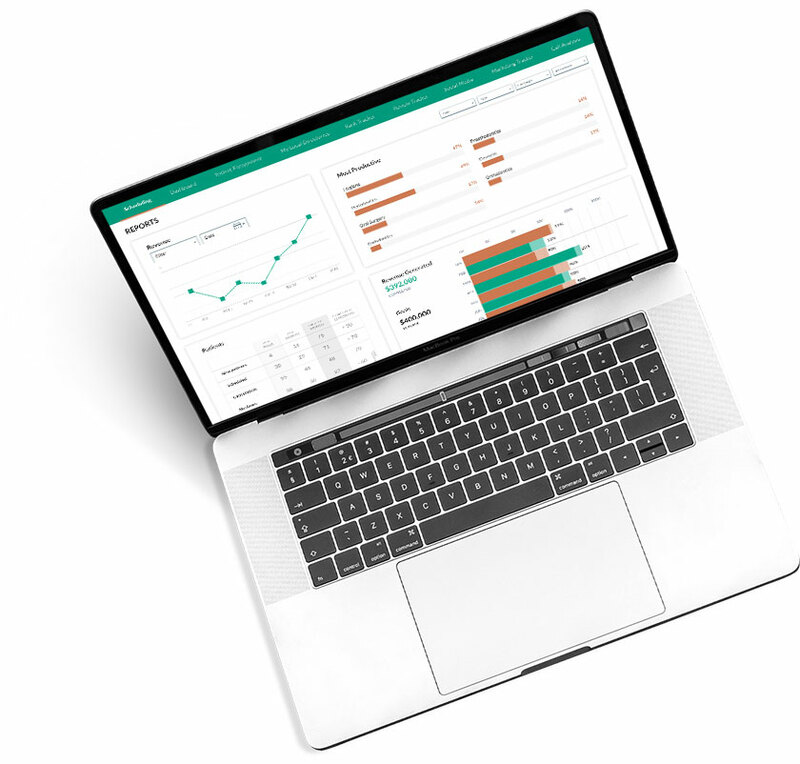 Users get full visibility into their marketing activities through an interactive dashboard that can display a wide range of statistics, such as new patients gained, campaign costs by media type, number of messages sent, estimated revenue by communication method, and more. By analyzing costs and patient behavior statistics, the system is able to make conclusions about campaigns with the highest ROI and the most profitable zipcodes in the area. Oxagile’s QA experts stepped in early in the process, created a plan of testing activities that included smoke tests, functional tests, regression tests, system integration tests, database tests, and more. Being part of a high-load marketing system, the component also underwent rigorous performance testing. To provide the HIPAA-approved level of protection for private medical records, the system underwent stringent security testing, including checking for information leakage, authentication and authorization vulnerabilities, and weak cryptography. The QA team worked in short iterations, mirroring the efforts of the development team and ensuring the client’s high confidence in every new build. By taking advantage of Oxagile’s predictable delivery process, the client received all the features on schedule and within budget. The implemented module has become an integral part of the client’s specialized marketing platform and proved to be one of the most popular services that dental clinics are subscribing to. On average, users report a 12% to 30% increase in conversion rates for their campaigns, and a significant awareness improvement among their target demographic.